The Arctic is one of those destinations that invariably scores highly on most people's travel wish lists. Pristine landscapes, bountiful wildlife, indigenous tribes and natural phenomena give the Arctic a unique appeal, while its proximity to Europe and the northern reaches of Canada and the United States make it more accessible than other wilderness areas. Plus, it has much to offer travelers wanting to follow in the footsteps of explorers to discover a region that is rich in natural experiences and, in parts, still relatively untouched by the 21st century. Unlike Antarctica, which is a continent in its own right, the Arctic is generally defined as the area contained within the Arctic Circle, which spans the top of the earth at a latitude of 66.5622 degrees. Stretching across the North Pole, it encompasses the northern regions of Norway, Sweden, Greenland, Finland, Iceland, Canada, Russia and the U.S. (Alaska) -- accounting for six percent of the earth's surface. Such a vast area is home to a rich array of wildlife. Polar bears, the so-called "Kings of the Arctic," roam the icy wastes and are the top attraction for many visitors. Other species to be seen include whales, seals, walruses, Arctic foxes, musk oxen, reindeer and numerous birds. Inuit tribes have lived in settlements in Greenland, Russia and Canada's far north for centuries. More recently, this harsh wilderness has attracted the attention of explorers like Briton Sir John Franklin, who disappeared during a disastrous expedition to chart a section of the elusive North West Passage in 1845, and Norwegian Roald Amundsen, who, in 1903 to 1906, was first to sail this legendary channel connecting the Atlantic and Pacific Oceans. The main season for Arctic cruises is summer, when the so-called Land of the Midnight Sun comes into its own with 24-hour daylight. Most ships head northward into the Arctic Circle from May to September. Early season sailings tend to be shorter and stay in the south of the region, as the winter ice is still melting. However, it's a good time to spot Arctic bird species before they migrate and to catch sightings of polar bears and walruses as they finish their winter hunting. 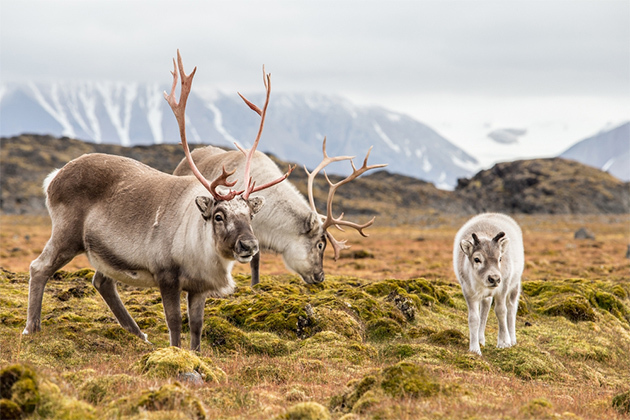 High summer in July and August is when the Arctic's flora comes into full bloom, and the wildlife revels in the warmer temperatures, with many species rearing their young. As the ice retreats, more inaccessible routes open up for a short time; smaller expedition ships use the warmer months of July and August to push farther north, in some cases to the North Pole and through the Northwest Passage. As September draws on, this window disappears, and ships return to more southerly courses. 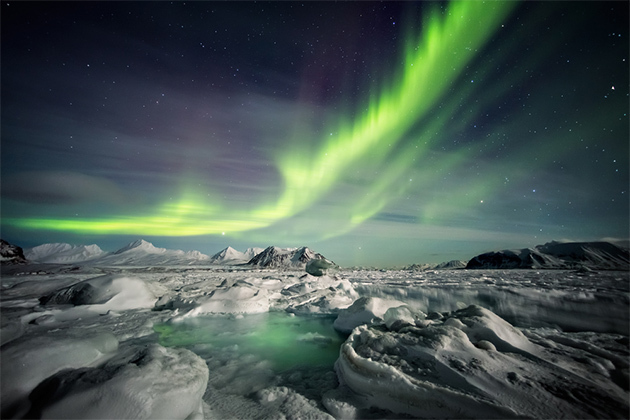 Despite freezing temperatures and long hours of darkness during the winter months, recent years have witnessed a significant growth in Arctic cruises, due to Aurora Borealis -- the Northern Lights. Sailings to Norway's extreme north to see this natural spectacle have become increasingly popular, while the opportunity to participate in winter adventure activities has heightened the region's appeal. 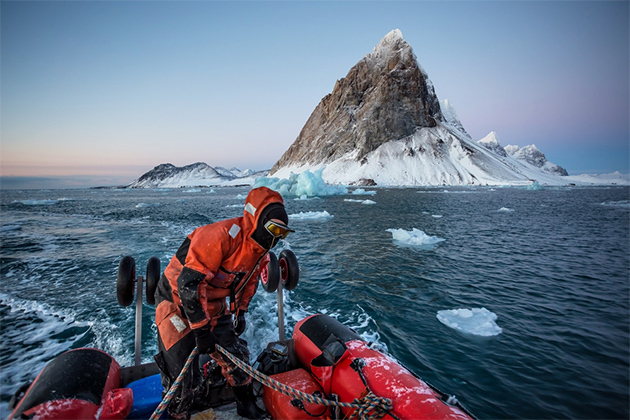 The scale and scope of the Arctic is reflected in the variety of cruises offered, though the busiest cruising waters are northward along the Norwegian coast toward Spitsbergen. Big-ship cruise lines with expansive itinerary choices often offer a few Arctic sailings. Among them are Cunard, P&O Cruises, Princess Cruises, Celebrity Cruises, Costa and Holland America Line. Similarly, midsize ships that sail the area range from the value end of the market with Cruise & Maritime Voyages and Fred. Olsen Cruises to upmarket lines like Seabourn. Others include Saga Cruises, Oceania Cruises and Hurtigruten. Expedition ships have ice-strengthened hulls and are especially suited to the conditions, pushing farther north than their mainstream rivals. Companies include G Adventures, Quark Expeditions, Lindblad Expeditions and luxury companies with expedition ships, such as Silversea and Compagnie du Ponant. Classic Norway and Spitsbergen: These voyages, generally departing from British or Scandinavian ports, offer a taste of adventure and the Arctic wilderness to those travelers who like big-ship comforts. Think of it as more of an Arctic-lite type of experience. Such sailings generally range from 12 to 14 nights as they go northwards along the Norwegian coastline. Some call at the Lofoten Islands and occasionally sail past the North Cape, which represents the northernmost point of Europe (though the adjacent Knivskjellodden Point is farther north). Those continuing to the Svalbard Archipelago generally spend just a few days there, calling at the capital, Spitsbergen. Some midsize ships sail farther north to the research station at Ny Alesund and remote Magdalena Bay, 600 miles from the North Pole and the closest you will get to it on a mainstream ship. Greenland and Canada: While not as popular as Norway cruises, certain lines -- particularly expedition companies -- sail to Arctic Greenland and Canada on longer sailings. Greenland may be included on cruises to Iceland and, in some cases, Spitsbergen. On more in-depth expedition sailings along Greenland's coast, with companies such as Quark Expeditions and Hurtigruten, passengers fly to the territory's main gateway of Kangerlussuaq to start their voyages. Other adventurous cruises with the likes of Lindblad Expeditions and Compagnie du Ponant head west into Canada's high Arctic territories. Expeditions to Svalbard, North Pole and Beyond: Adventurous sailings across the top of the world, or close to it, generally start from within the Arctic Circle. For cruises around the Svalbard Archipelago, passengers fly to the capital, Longyearbyen, to join their ships for sailings of one or two weeks. Departures to the North Pole are aboard nuclear-powered Russian ice-breaker 50 Years of Victory (utilized by several lines) from the Russian port of Murmansk. Sailings along the Northwest Passage take between 13 and 25 days with companies that include Lindblad Expeditions and Silversea Expeditions. Passengers going east may board their ships in the Canadian territory of Nunavut or Alaska, while those heading west sail from Iceland or Greenland. The Russian Arctic is another relatively undiscovered region. Voyages are offered by companies including U.K. specialist Steppes Travel and American specialist Polar Cruises. Sailings last around two weeks, starting from Chukotka in northeast Russia, cruising the north Siberian coast and visiting sites like Wrangel Island. Should you choose an expedition cruise? Weigh the pros and cons. Ports of call on Arctic cruises can vary greatly from established towns to Inuit settlements, deserted bays or the frozen expanse of the North Pole, where passengers step on to the ice for a Champagne celebration at the top of the world. Tromso, Norway: Sitting on Norway's far northern coastline in the Arctic Circle, this town has long been a departure point for Arctic-bound explorers and hunters. Today, one of its biggest attractions is the ultra-modern Arctic Cathedral, along with the Polar Museum, housed in a restored 19th-century warehouse, which recounts the town's pivotal role as a center for hunting expeditions. Longyearbyen, Spitsbergen: Spitsbergen is the largest island in the Svalbard archipelago, and Longyearbyen is its capital. With a population of about 2,000, it's the largest settlement in the islands. Besides the Svalbard Museum, the biggest draw is the scenery -- jagged, snow-covered mountains, windswept tundra and the prospect of roaming polar bears. This is a place for glacier walks, dog-sledding and hiking, all in the presence of rifle-carrying guides to guard against polar bear encounters. Wrangel Island, Russia: Polar bear sightings there are virtually guaranteed. Lying off the coast of the remote region of Chukota in Russia's northeast, Wrangel Island and nearby Herald Island are nicknamed the "polar bear maternity ward," due to the high number of young cubs born there. In fact, the island is said to have the world's highest density of polar bear dens. Ilulissat Icefjord and Jakobshavn Glacier, Greenland: Such is the majesty of the Iluslissat Icefjord on Greenland's west coast that UNESCO has designated it a World Heritage Site. It's home to the Jakobshavn Glacier, the biggest ice stream outside of Antarctica. It's also one of world's most active and fast-moving, with ice floes traveling at about 131 feet every 24 hours. The glacier calves huge amounts of ice in the form of gigantic tabular icebergs that break off and float into Disko Bay. Narrow your sights: The Arctic covers such a huge area that you'll have to decide which region you want to explore; each one offers a slightly different experience. For convenience and soft adventure, sailings along Norway's coast into the Arctic Circle might be more suitable; for more intrepid adventures, opt for an expedition sailing off the beaten track. 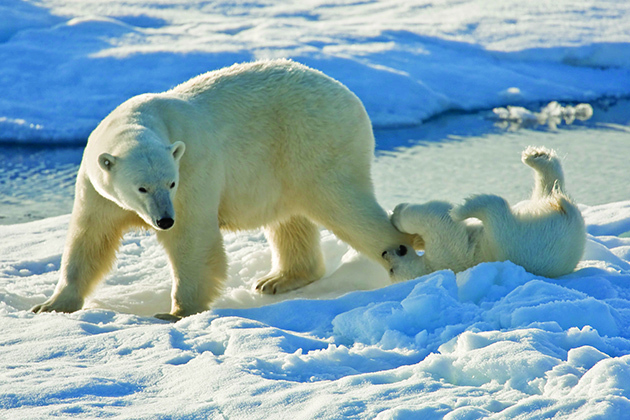 If your interest is in seeing polar bears, rather than seabirds, choose voyages that visit polar bear hotspots like Spitsbergen, Greenland or Canada. Learn more about expedition cruises. Gauge your Fitness: If you plan to sail on an expedition ship, where most adventures ashore consist of zodiac excursions or hiking trips, make sure you're reasonably fit, as this can be physically challenging. Pack Appropriately: For mainstream ships, the dress code onboard is similar to what you'll find on other sailings, though more practical outdoor wear is needed for trips ashore. For expeditionary voyages, onboard dress tends to be casual. Each company provides advice on what to take for zodiac excursions, and some provide heavy-duty jackets. As a general rule, dress in layers with waterproof and windproof trousers and jackets, waterproof gumboots (check with your cruise line in advance to see if you can rent them), inner soles to keep your feet warm, thermal underwear, gloves (two pairs) and a hat. And don't forget your camera and binoculars. 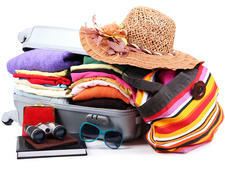 For more ideas, see our Ultimate Guide to Packing for a Cruise. Travel responsibly: The Association of Arctic Expedition Cruise Operators -- an international association for expedition cruise operators that manages responsible, environmentally friendly and safe tourism in the Arctic -- has a set of visitor guidelines regarding travel to the Arctic. They include ways to respect local people, nature and wildlife and tips on safety. Can an Expedition Cruise Transform Your Life? You Bet.